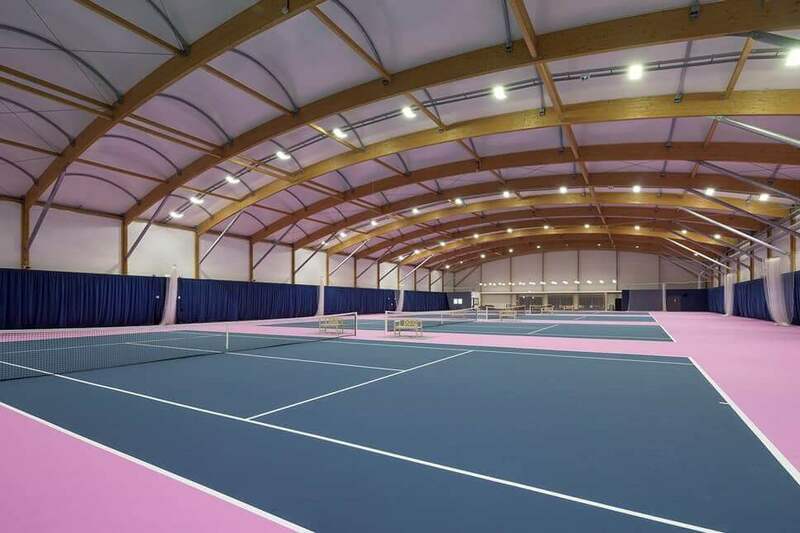 SMC2 is putting the finishing touches to the new state of the art four court tennis centre (70m long x 38m wide) at Nottingham Trent University(NTU). NTU is one of the largest and most popular universities in the UK with three separate campuses. The university is also cited as being one of the most environmentally friendly universities in Europe – the recent multi-million pound upgrades at its Clifton Campus, where over 8000 students study, demonstrate NTU’s ongoing commitment to creating a sustainable, ecologically-sound Campus. This commitment makes Clifton an eco-friendly place to learn, and an attractive one too with plenty of green grass and open spaces. Sport is a huge part of the NTU experience. 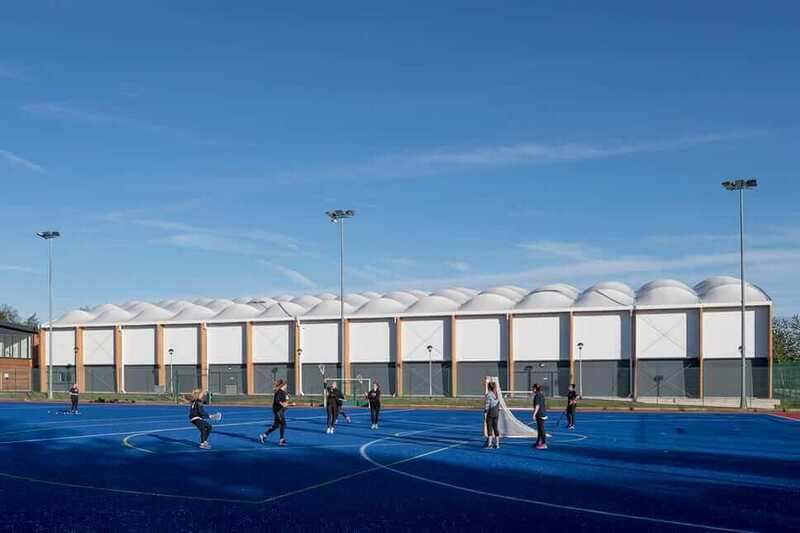 There are over 60 clubs with some tremendous facilities including multi-sports halls, gyms, state of the art synthetic grass playing pitches for hockey and football as well as natural grass pitches. 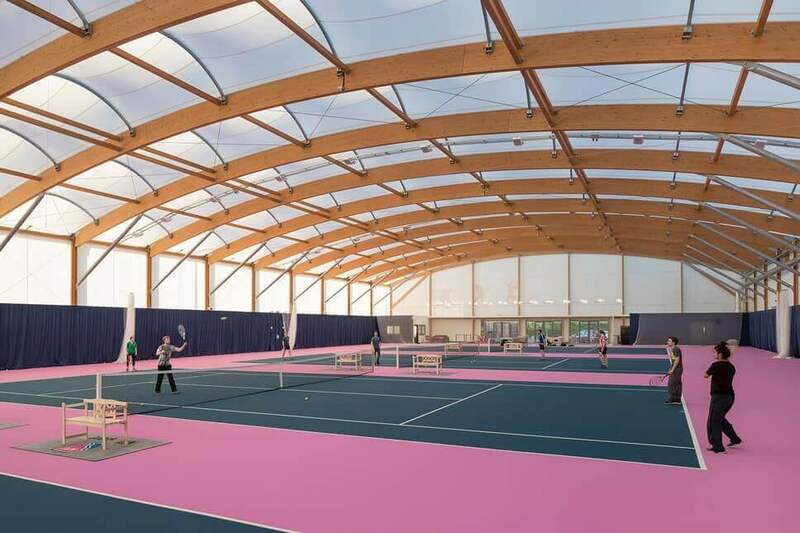 “The strategic opportunity to develop an indoor tennis centre at NTU was identified some years ago; a potential link with the LTA performance academies based at Nottingham Tennis Centre could facilitate the transformation of what was a low level tennis offer at the University into a programme that could support students playing at every level of the sport from beginner to elite. 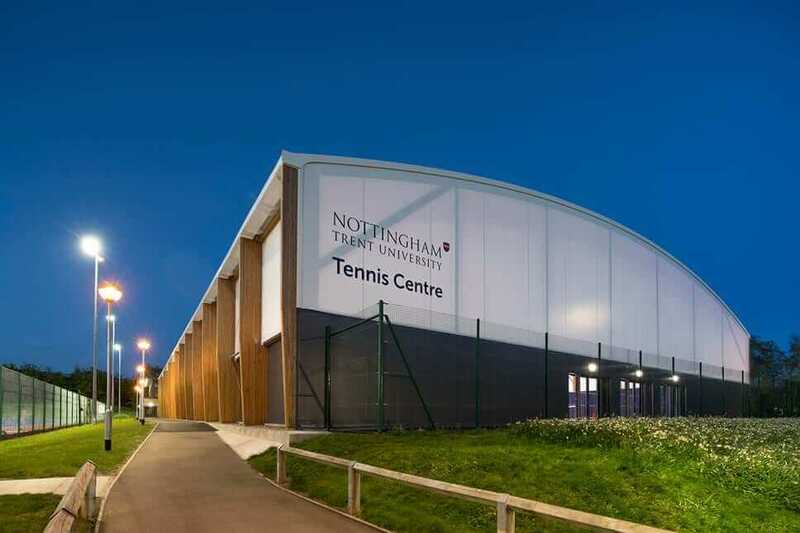 In addition, NTU is well placed to support workforce development activities in partnership with the LTA, offering excellent opportunities for our students and graduates, whilst helping tennis to develop in the local area. 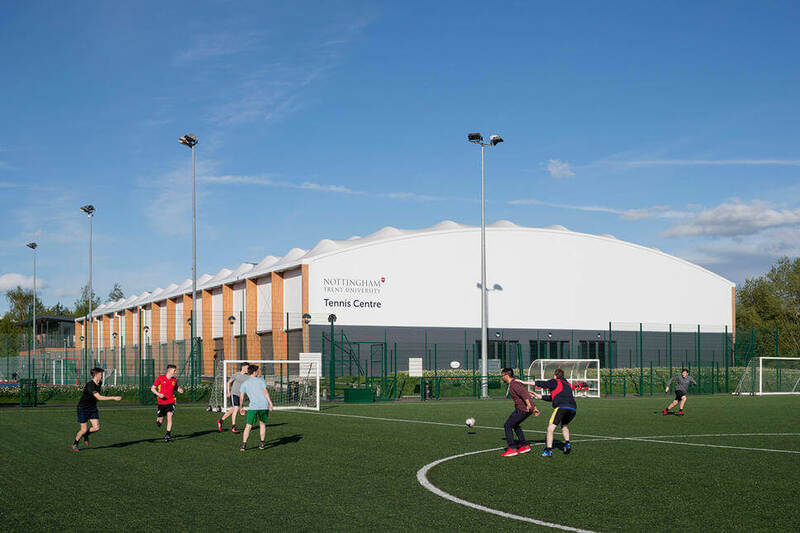 However, the capital funding was not agreed by NTU until 2015; at this point, the project moved quickly from background feasibility work, cost analysis and market testing to outline designs and tendering. The tender process was thorough and provided an opportunity for newcomers to the higher education sport market to compete with those that have been established in the sector for some time. SMC2’s tender submission scored very well indeed and we have continued to be impressed with the company through the planning and construction phases of the project”. The university did not want a utilitarian ‘industrial’ building. SMC2 ‘s tender return stood out in that it was the only submission having an elegant and eco-friendly glue-laminated timber frame structure rather than a steel frame. 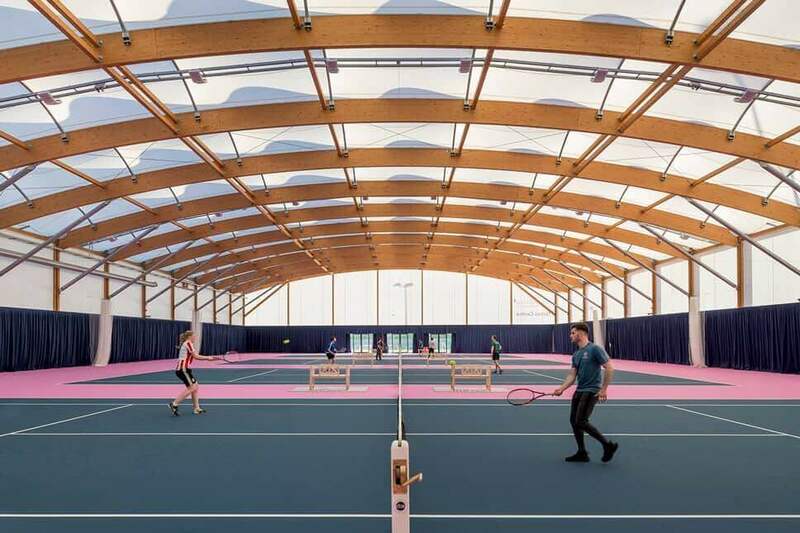 Furthermore the submission addressed the need for functionality by proposing a turn-key package that included the provision of the GreenSet® Grand Prix acrylic tournament tennis surface and a state of the art LED lighting installation with automated dimming and movement sensor control. After SMC2 were awarded the contract we worked closely with the client’s team to refine the design so as to include additional features such as acclimatised office space and a seating and viewing area. The building work commenced in July 2016 during the summer vacation period and the hall was handed over to the Client four and a half months later ready for the first inter-collegiate tournament that was played on 14th December.